Harlem is a place I’ve come to know well over the last two years, having worked at a Starbucks on 110th and Manhattan Avenue, and then the nearby 103rd and Broadway location for close to a year and a half, and afterwards, finding my current place of employment at the Teacher’s College of Columbia University on 120th Street and Amsterdam. 125th has become a personal hub that connects me to various destinations, be it work, downtown or home, via the several subway checkpoints and herd of bus lines that nudge through the dense traffic. I’m originally a Bronx native. An NYC borough that has it’s own flavor and traditions. To me, the Bronx has always been familiar. You have your sometimes crowded, other times sparsely, populated avenues and pockets of Latino families and other Caribbean enclaves. Of course, bodega after bodega hugs every other corner. Right beside them, you’ll find a double parked Lexus blasting reggae music from its prominent bass system, with the driver leaned up against the side yelling, “Taxi! Taxi!” towards the wave of commuters descending the nearby Subway steps. All of these are the fine details that construct the mosaic that we call The Bronx. It certainly feels like home to me. Harlem, however, has always felt like a more complicated beast. Immediately, it can be pretty jarring place; 125th is cramped and crowded. People shuffle among you left and right and there’s no order to it all really. Primary school students giggling and teasing one another, business men and women dressed sharp and walking with importance and urgency, the homeless shuffling aimlessly and sometimes stopping to collect from a giving passerby outside of a dingy Popeyes. It’s a neighborhood, yes, but the lack of uniformity is unreal. 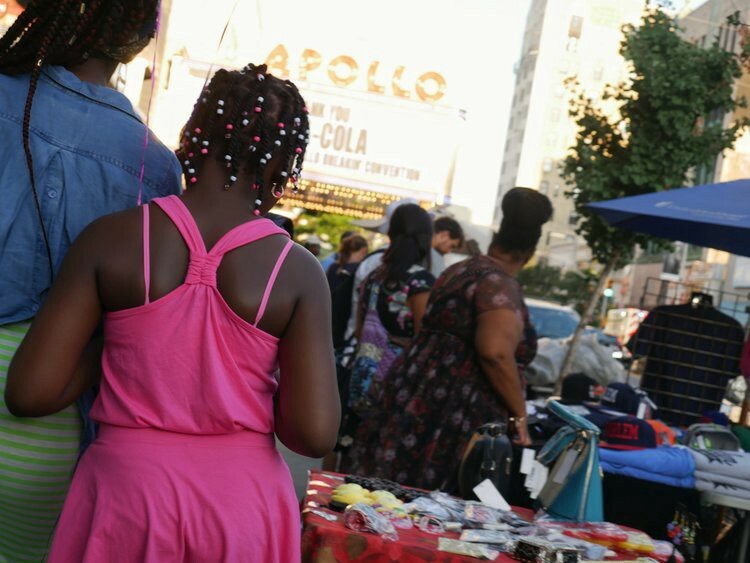 Culturally and even socio-economically, Harlem is without a doubt one of the most diverse places in the world. 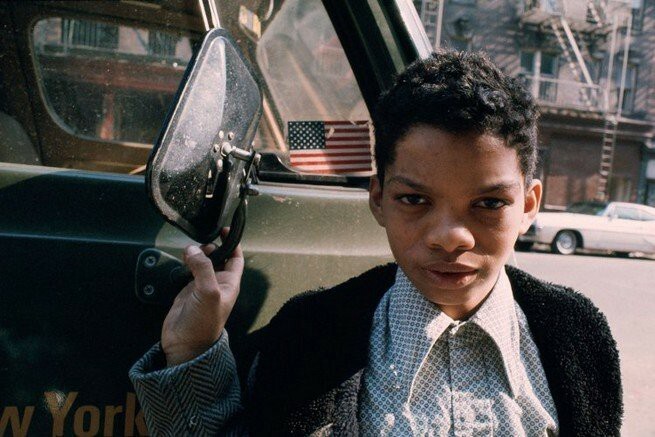 In the 1970s, street photographer Camilo Jose Vergara began to photograph life in Harlem. His inspiration was the understanding that, at the time, Harlem was in a dilapidated, yet transitional state. Drugs were rampant, gang violence was high and buildings were being demolished. Yet, all the while, there was a sense of hope due to the overall perseverance of Harlem residents who were determined to make a proper living and improve their lives and community. Vergara’s photographs contain the ephemeral essence of street photography. 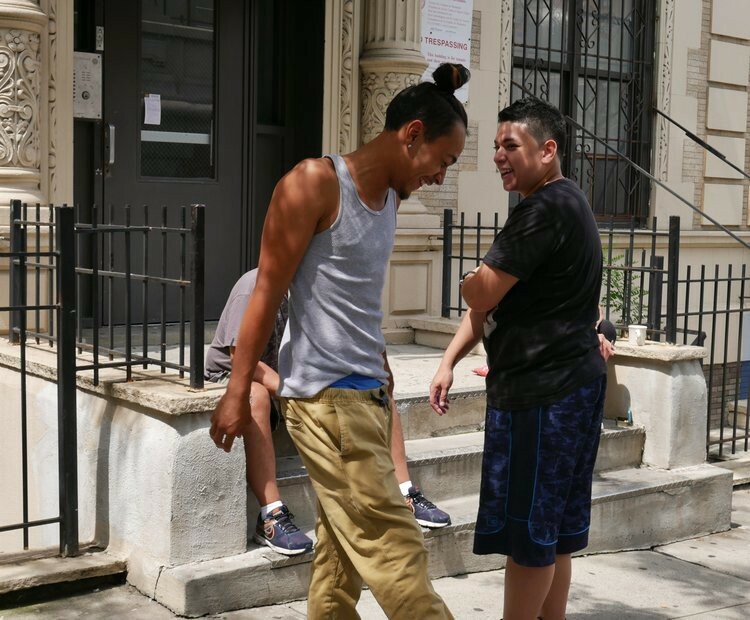 By taking photos of intimate settings such as church gatherings or children playing on their brownstone stoop, as well as sprawling photos of Frederick Douglas Avenue and the corners of 125th, Vergara has successfully captured everything that Harlem was in that period. Cameras are ultimately meant to capture time, and as a photographer, he was a genius at creating such transportive photos. He continued to take photos until 2014, and by looking through his work, you can witness the cultural, commercial and physical changes within the Harlem dynamic. Today’s Harlem is the result of a rebirth of Vergara’s Harlem of the 1970s. 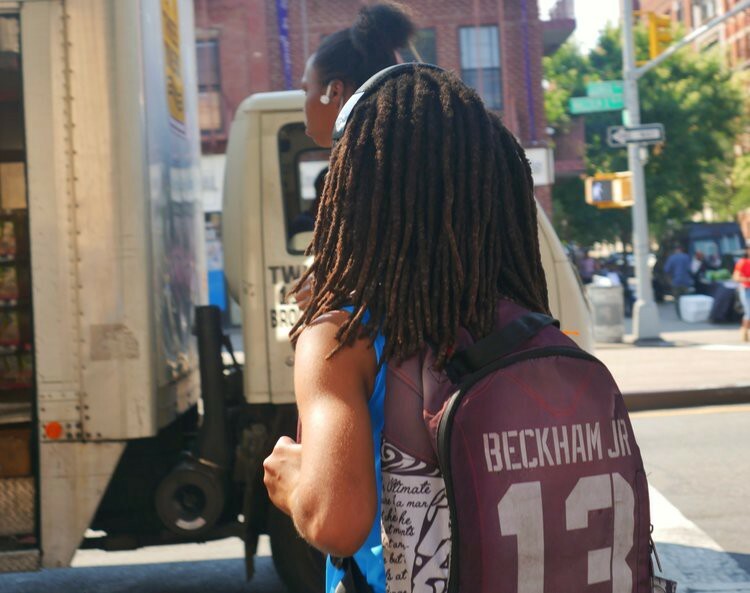 Worldwide, Harlem has begun to be known as a center of black identity. A dense pocket of all that is black culture. From music, clothing, art and the humanities and, of course, rivers of various other cultures coursing through the avenues such as the long-established Spanish Harlem or “El Barrio,” and parts of 125th dubbed by some as “Little Senegal,” due to the high presence of Senegalese immigrants. Harlemites are proud of the cultural mecca it’s become. In this gallery, I’ve attempted to offer a slice of Harlem, just as Vergara has, and hopefully evoke the feeling that comes from walking down 125th and being surrounded by so much culture and life. Harlem in 2017 is far from perfect. 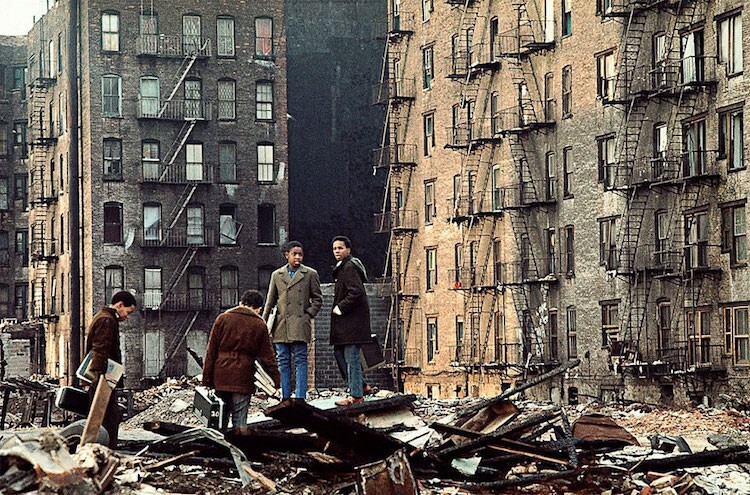 Gentrification is on the rise and is already threatening to erase the soul of Harlem. Poverty and homelessness is still rampant. However, the hope that Vergara felt in 1970 is still alive and still gives itself to the soul of Harlem every single day.